Bring your dust hose where you need it. 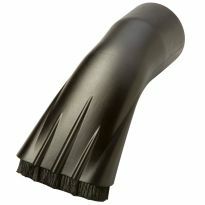 It's the ultimate accessory for collecting dust from scroll saws, lathes, disc sanders and other woodworking machines. 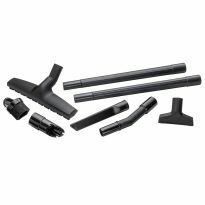 Bring your dust hose to where you need it! 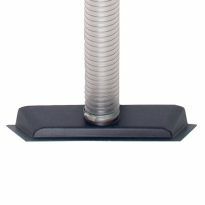 Mount this heavy-duty dust collection port almost anywhere — attach it to a floor base, clamp it to a table or mount it to a wall or ceiling. 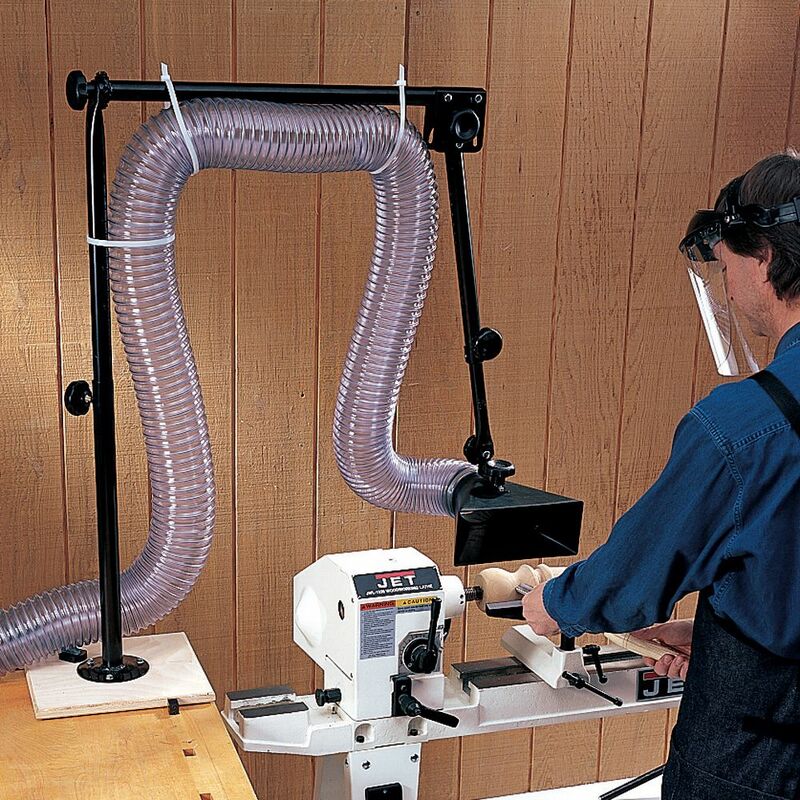 The dust collection port has three 1-1/4" modular arm segments and one dust hood. The unique locking and pivoting mechanisms allow the arms to be locked in position at any angle and rotation. Set up the arm it works perfectly. Shipping took a bit than I thought to Canada but it made it. Excellent product. Easy to set up.Had to interchange 2 bolts to get complete adjustability.Works well,picked up additional sawdust generated by dado head.Great purchase. Excellent product. 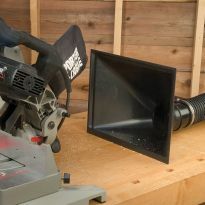 I personally installed it as a table saw dust collection hood and it worked perfectly. I got this tip from Jim Jackson on YouTube, but in my case, I attached the last arm segment and dust hood to a heavy duty dock arm. I shared a pic that shows this and should should show up in the customer gallery. The only wish is that I could only buy the last arm segment; which is the only part I used. Installed end of arm segment and dust hood to a heavy duty dock arm and it works beautifully. This is a great product and idea. It works well with my lathe. Ok, but has some issues. 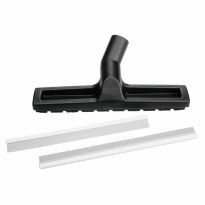 I use it for over the blade dust collection on table saw. It is not as convenient as I have hoped - moving the arm out of the way and back is awkward, requires more adjusting than one knob. Ideally, it should be installed in the plane of the blade, or in the orthogonal plane - which, short of mounting it to the ceiling, is either impossible or would get in a way in case of rip cut. This appears to be a well built item. The only reason I didn't mark this 5 stars is that I would have liked an adjustment on the top horizontal bar as well. I was a bit leery of this product, but was in desperate need of a way to direct my dust away from the lathe. I mounted it from a ceiling joist, so that it hangs down over the back of my lathe, and stays out of the way. It works far better than I expected and I am thoroughly satisfied with its performance. The joints hold exactly where I position them and I have yet to find a position it will not go to. Thanks for a really good quality product. got this installed and still need some tweaking. But it does pretty much do what it says. Biggest gripe that the port is black.. It should be clear so you can see the blade and what's happening. Overall, I like this unit. It doesn't articulate well enough to be stationary, so you have to move it around the workbench to compensate for some positions. 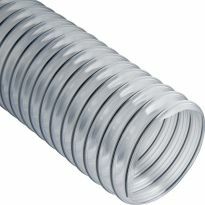 And, I am dissappointed at the looseness of the joints under the weight of a 4&quot; hose. I don't expect this to last very long, but will appreciate it while it does. I had thought from the photos that the dust collector arm which extends from the vertical support post rotated in all directions, but it does not. I found it very difficult to alter the placement of the port, which also seems too small for bowl turning. I cannot recommend this product. I hated to have to give this such a low rating, but it just wasn't what it said it was. This product lacked enough toughness to be able to do what I wanted it to do. (Remove flying sawdust from table saw) If the individual members had been a bit beefier, there could have been the possibility for a bit of adaptation. The dust port near the saw blade bounced around too much to be able to lower it enough to be effective in removing the flying debris. I will be returning this to nearest Rockler store for credit. The dust collection port is a good idea, but it has to be made stronger. The first time I used it, It started to bend at the upper right corner at the crimp, and would have torn had I not taken the hose off. I've wanted this for a long time. A Birthday present for me. Hoping that this will allow me to reduce the large amount of sawdust flying off of my table saw blade. Gift for my husband's work shop. Saw a YouTube video on how to adapt this to an overhead arm. looks easier than building it myself. 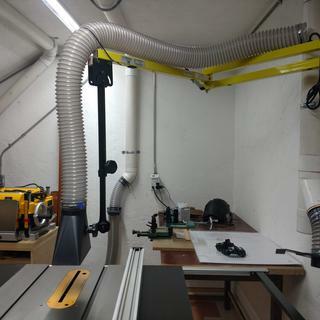 Needed dust collection for lathe, this unit will provide the flexibility I desire. Are the bars made of metal or plastic? The description says the product is made of plastic, but I'm hoping that refers to just the dust hood. Thanks. BEST ANSWER: All the bars are made from a pretty thick metal. The hood is the only piece that is made from plastic that I recall. It is very sturdy and well built. I love mine! Thanks to all for the quick answers. I'm getting tired of all the dust when sanding at the lathe, and hoping this fits the bill. Interesting that some are saying it is very sturdy, and some are saying it's not - I'll find out for myself pretty soon. Appreciate everyone's quick responses! The bars are made of metal but I needed to add re-enforcement with a PVC pipe otherwise the unit sags and I felt would break at the junction points. 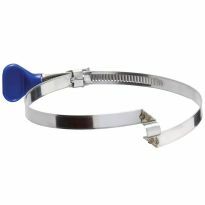 The bars are made of metal, slide easily, and are secured well with the large tightening knobs. The bars far made of metal. The bars are made of metal. Is this suitable for use with a full size lathe? For use with spindle and bowl work? BEST ANSWER: When you are turning on the lathe it rotates towards the turner,this causes centrifugal force towards the wood worker and front and downward therefore any dust collector in back or above won't collect a large percentage of the residue. In other words you collect what you can and sweep the rest. I used my unit to set up a dust collector hose that can articulate between my saw, my router table, and my planer. I have a small shop layout and I wheel tools into position to use. No lathe. It works somewhat but I haven't found anything that works well when throwing off lots of sawdust on my lathe. Greg A. Yes. The trick to be able to properly position the intake and make sure dust collection system has enough power. Can I move this system to attach to all my table tools ? BEST ANSWER: If the Port was attached to a stand, I guess you could. But, the stand would have to have some weight to it to prevent the Port from tipping over. I have my Ports (I have three of them) attached to the wall (and connected to a centralized dust collection system) behind three pieces of equipment which are all stationary. have Large Jet Lathe with shaker shields will this work? BEST ANSWER: It should. The only hesitation I have is if you are turning a spindle that is longer than the width of the intake. BEST ANSWER: Hi The plastic shrould that i have ie 7 inches deep. Plus you would need a 90 degree elbow,that would add 3- 4 inches. A hood with a side exit would be the best ,not sure if rockler has this. Does the arm to mount come with? Or separte purchase?